Download our own Trap Steam Loss Calculator, in Excel format. Our industrial customers include Ostroms' Mushroom Plant, Kraft Foods and Frito-Lay, Potlach Corporation, and Simpson Tacoma. We are also happy to serve Weyerhaeuser, Georgia Pacific Mills, Longview Fibre and Boise Cascade. Since 1921, Adamson Storage Water Heaters have provided excellent, trouble free service in installations throughout the country. Adamson Storage Water Heaters offer many advantages for the heating of domestic water. Hyspan was founded in 1968 with comprehensive engineering, quality and production capability to design, develop and fabricate metal bellows and hose; and assemblies and products that incorporate these components. The Tulsa Division was constructed in Tulsa, Oklahoma in 1989. This facility manufactures wire braid, Perma-Pax Packed Expansion Joints and Barco Ball Joints. Hyspan is a member of the Expansion Joint Manufacturers Association, Inc. (EJMA), an organization devoted to the development of design methods for metal bellows and related products. As a member, Hyspan joins with other companies to share analytical and test results to advance the knowledge of metal bellows and related products. Established in 1969, Industrial Mechanical Specialties Ltd., is a dynamic family owned and operated company, offering expertise in Unit Heaters and Steam Coils, Bete Fog Nozzles, and Hydro Blaster. 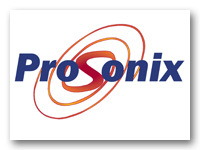 ProSonix is the leading innovator in Direct Steam Injection heating technology, specializing in water heating, sludge heating, difficult slurry applications, and heat exchanger upgrade solutions. Our Direct Steam Injection Heating solutions are well suited for Wastewater, Pulp & Paper, Biofuels, Food, and other Industrial Process and Utility water heating applications. 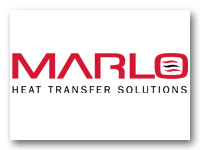 Since 1925, DRS Marlo Coil has manufactured quality heat transfer, refrigeration, and air handling equipment for industrial, commercial, utility, and marine markets. Our custom engineered Marlo heat transfer solutions are used in a variety of configurations to cool, heat, and dehumidify air streams for process and building comfort. 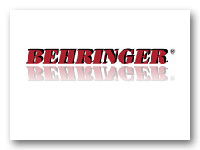 Behringer Corporation manufactures fluid power components, filter assemblies, ball valves, check valves, interchange cartridges, spin-on filter assemblies & mounting clamp products. Warren Controls has been in the valve business for 50 years, serving a wide variety of commercial, industrial, military and OEM customers. Our strengths lie in our ability to ensure that we are meeting the needs of the application, providing personal service and flexibility to meet our customer’s needs. Warren offers four broad product lines for Building Automation Control Valves, Industrial Process Valves up to ANSI Class 300, Mechanical Level Controls for deaerators and boilers, and Military / Marine Valves to MIL specifications. We are a “Steam Solutions” Construction Company meeting the mills need to optimize energy cost and maximize steam usage. We accomplish this through steam joints, syphons, condensate return systems, and thermocompressors. Micronics has been manufacturing clamp-on ultrasonic flow meters, both fixed and portable, since 1985. In that time they have developed one of the most accurate and user friendly transit time flow meters on the market. Laurence is a leading brand of fast-acting on-off control valves for process industries that are proven to perform in demanding, high temperature conditions. It has been one hundred years since Canadian born John Leslie advertised his first major product, a steam powered snowplow for railroad locomotives. Leslie's product lines have grown significantly over the last century and now include a wide variety of products to cover almost any need for power plants, processing and HVAC to Navy Ships. Copyright © 2007-2018 ES Constant Company. All Rights Reserved.